Autonomous machines represent a big chance to realize substantial enhancements in the overall cleaning quality of objects. 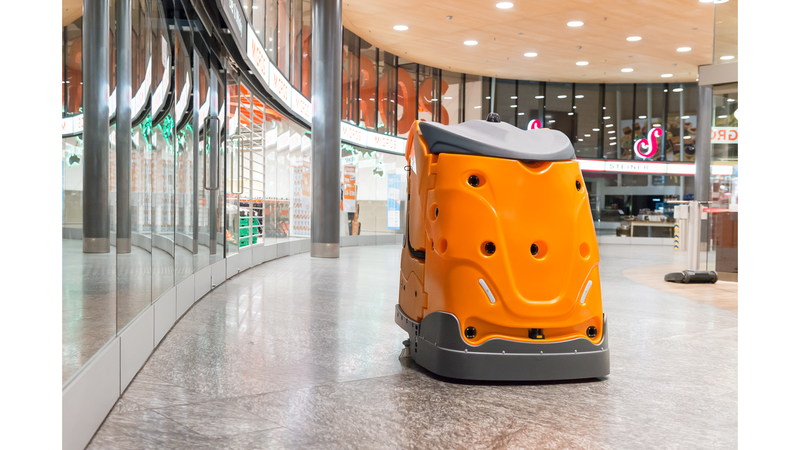 By automating repetitive, time consuming tasks like floor cleaning, labour that has previously been blocked can now be used for technically more demanding tasks. By that, valuable human working capacity can be used much more reasonable. TASKI Swingobot 2000 represents the latest generation of autonomous scrubber-driers by Diversey. This sophisticated machine is already successfully operated in many object around the globe. Areas of application range from office buildings, to airports and train stations, to shopping malls. Even complex areas are no problem due to a variety of sensors combined with proven TASKI cleaning technology, all controlled by intelligent cleaning software. Together with our strong partners we are ready for the future. Through ongoing development and updates to our robots, including those already in the field, the area of application of the TASKI Swingobot 2000 steadily extends. This is the future of cleaning.